If you follow me on instagram, you would have seen that Danny and I are finally moving into a new apartment!! I hide it well but for two years we've been in my parents second house which isn't too bad as they have another house where they spend the majority of their time, but it wasn't Danny and I's, it wasn't our HOME. I think one of the best things about having your own space is making it a home and making it yours. Almost as soon as we got the good news I started browsing home decor shops. 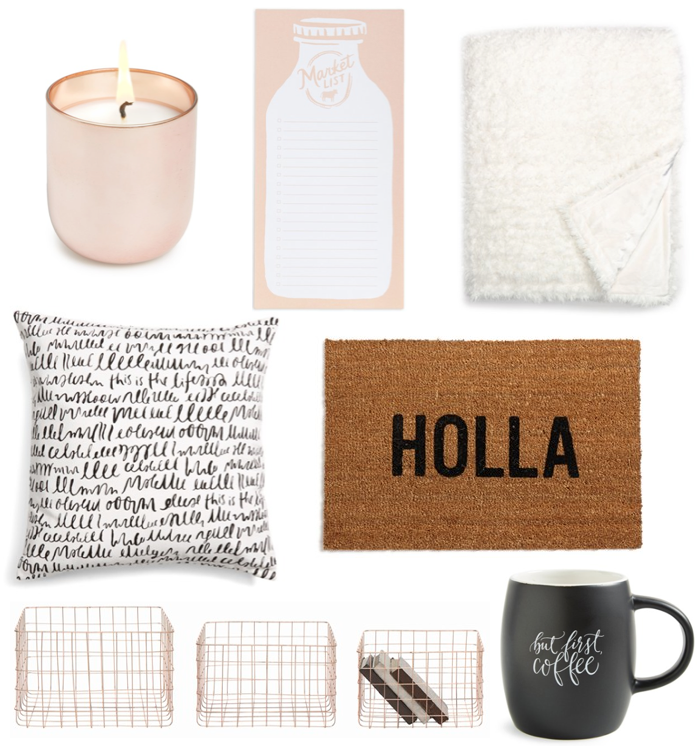 Since I'm still reeling from Nordstrom coming to Vancouver, I thought I'd pick my favorites from their home decor section - they have so many cute little unique pieces that would otherwise be difficult to find. I love that they're all in one place - makes for easy shopping!